Want a long and happy relationship? Research indicates that marital satisfaction decreases within the first two to three years of marriage. “There are many factors that can impact on marital satisfaction in these early stages including the birth of a child, changes in employment, sexual problems, financial pressures or other day-to-day hassles,” says clinical psychologist Dr Jennifer Fitzgerald. It is a well-known fact that very low levels of marital satisfaction are linked with increased likelihood for divorce. In Australia , the rate of divorce is rising. The likelihood that any marriage will end in divorce is estimated at 32% (Australian Bureau of Statistics, 2001). 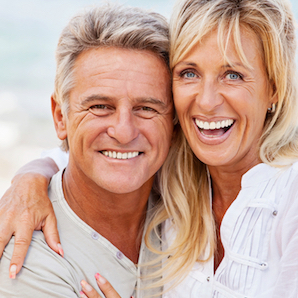 These factors have been found to enhance couple satisfaction and lead to a longer marriage. Here are some tips to help you with these factors in your relationship. Sit down and develop a list of positive behaviours that you would like to do for one another (e.g. sharing a cuddle or kiss, or asking about their day). Behaviours must be positive, specific, small and not a source of recent conflict. Put the list up in a noticeable place like on the fridge or in the bedroom. Choose a positive behaviour to do for your partner every day. When receiving a positive behaviour, make sure to thank your partner in some way. This will increase the likelihood that your partner will engage in this behaviour again. Express your feelings with I statements (e.g. I feel upset when you don’t say hello when you come home from work ). Show you are paying attention with your body language. Use verbal encouragement (e.g. OK, Yes ). Try to understand your partner’s feelings. Summarise what your partner has said. Blame your partner for something. Say you always, you never, you should. Interrupt when your partner is talking. Pick an appropriate time to discuss the problem (both parties should be relaxed and have time to talk). Define the problem and brainstorm all the possible solutions. List the positives and negatives for each solution and work together to find the best solution. Set a time to review the outcome of the action taken. If the problem has been resolved, fantastic! If not, implement the next best solution. Take some time out for yourself each week and do something that you find positive and fulfilling. Use slow breathing or other relaxation strategies to calm yourself down in times of tension. Identify and change unhelpful thinking patterns. Seek professional support if you are experiencing significant emotional problems like depression, anxiety or substance abuse problems. Identify high-risk times for conflict and high-risk argument topics. Regularly engage in some relationship planning sessions where these topics are discussed before the problem arises. If an argument does arise, take time to calm down. Then communicate effectively about the issue. Sometimes communicating feelings is all that is needed to diffuse an argument. But, if a problem needs to be solved, then you may want to use your problem solving skills. If the conflict continues despite these efforts, it may be necessary for both people to agree to cease the discussion. Make sure that a time is set in a day or two to resume the discussion. People often think of ‘Couples Counselling’ as the last resort to save a relationship; a cry for help when the relationship’s engine has completely broken down. This is simply the wrong approach. Just like we need mechanics to tune our car engines, accountants to fix our tax and dentists to polish the smile bones; therapists can help us keep what’s most precious in top nick too!